The African Petroleum Producers Organisation (APPO) and its member countries have called for unity, cooperation and reform amongst oil producers ahead of the Cape VII Congress and Exhibition, which will take place April 1-5, 2019 in Malabo, Equatorial Guinea. APPO have invited all interested companies and organizations to participate in what it regards as an important gathering of oil and gas stakeholders including government and private sector leaders in Africa. The theme of APPO Cape VII is ‘Pathways to Shared Prosperity in the African Petroleum Industry’ and is being held under the auspices of President Teodoro Obiang Nguema Mbasogo of Equatorial Guinea. “We invite the global oil and gas industry to participate in this historic conference. Cape VII is like the Olympics of African oil and gas, it’s a time when the world comes together,” said Mahaman Laouan Gaya, the Secretary General of APPO. He says Africa needs unity and synergy in all sectors of its economies to boost growth. When we unite, it is easier to collaborate. Taking place against a backdrop of greater African involvement in energy institutions, rising investment in upstream projects, a favourable oil price environment and the recent restructuring of APPO, the conference organised by Africa Oil & Power highlights regional cooperation and promotes alliances in African energy. The event also shines a spotlight on key regional energy projects and initiatives such as Equatorial Guinea’s Gas Megahub, which will link domestic and cross-border gas projects; Equatorial Guinea’s LNG2Africa, which is promoting intra-African gas trade; Sudan and South Sudan’s cooperation on restarting oil production; licensing rounds in Nigeria, Gabon and the Republic of Congo; and key economic and investment reforms in Angola. APPO is currently undergoing important reforms focused on creating a united African front on the global energy stage. The organization seeks to increase regional cooperation on upstream projects, infrastructure, refineries and other major projects. It also aims to attract more members as African countries make significant oil and gas discoveries, while growing their reserves. “Regulatory and policy reforms are needed on a case-by-case basis. Countries like Ghana, Senegal and Mozambique have some of the most attractive and competitive market conditions in the world. Additionally, Africa has proven itself as a host of mega discoveries with a wealth of untapped and undiscovered potential,” said H.E. Gaya. APPO Cape VII takes place during Equatorial Guinea’s Year of Energy, a series of events promoting Africa’s energy potential and positioning Malabo as a continental energy center. “Equatorial Guinea has a distinguished track record as a host country for events of continental importance, and this APPO meeting will be momentous,” said H.E. 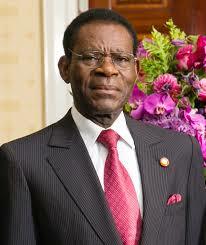 Gabriel Mbaga Obiang Lima, Minister of Mines and Hydrocarbons of Equatorial Guinea, host of the conference. Speakers at APPO Cape VII include the ministers of petroleum of Algeria, Angola, Benin, Chad, Republic of the Congo, Democratic Republic of the Congo, Equatorial Guinea, Gabon, Ghana, Ivory Coast, Mauritania, Niger, Nigeria, South Africa, South Sudan and Sudan. The private sector is represented by international oil companies including ExxonMobil, Shell, Marathon Oil, Noble Energy, Kosmos Energy, Trident Energy, South Africa’s CEF Group, and GE Baker Hughes.